Well the Giants may have won the Super Bowl yesterday, but Teeny definitely won when it came to being the ultimate party host. Not only did everyone have a great time noshing all the delightful goodies I had prepared for the day, but there were no unpleasant party fouls or guests who had to be thrown out or have their shoes pooped in. Overall, it was a huge success and now I’m looking forward to planning the next little holiday shindig coming up soon. But what holiday party do you have on the agenda, Teeny, you’re probably asking. Well National Organ Donor Day, of course. Coincidentally it just so happens to also fall on the same day as that lesser known and not-at-all publicized holiday, Valentine’s Day. Now I know some of you out there are probably planning to do really romantic activities on that particular day involving chocolates and champagne and telling your significant lover how much you love them… well heck, there’s no reason you can’t do the same thing in honor of all those who have “organ donor” checked off on the back of their driver’s licenses. Instead of baking little pink sugar cookies in the shape of Cupid and hearts with arrows, you can make them in the shape of a liver or a spleen and ice them with buttercream dyed the same shade as bone marrow. Nothing says “have a happy holiday” more than receiving a blood-red, kidney-shaped snickerdoodle. Am I right? Unfortunately I don’t want to give away all my plans for baked goodies for my National Organ Donor party just yet, so instead I have a recipe for you today that doesn’t involve any human body parts… or any animal parts, for that matter. So if you came here looking for a recipe for Gallbladder Stew or Urethra Pancakes, my apologies. Perhaps next week. In the meantime, here’s something you may enjoy to make, especially on one of those busy weeknights when you’re short on time but still want a delicious homemade dinner on the table. 1) Heat water in a saucepan over high to a boil. Add rice, cover and turn heat to low. Allow to cook 30-35 minutes or until water is absorbed. Set aside. 2) Heat oil in a large Dutch oven over medium heat. Add onion, garlic, bell pepper, celery and sausage. Cook until onions are tender. 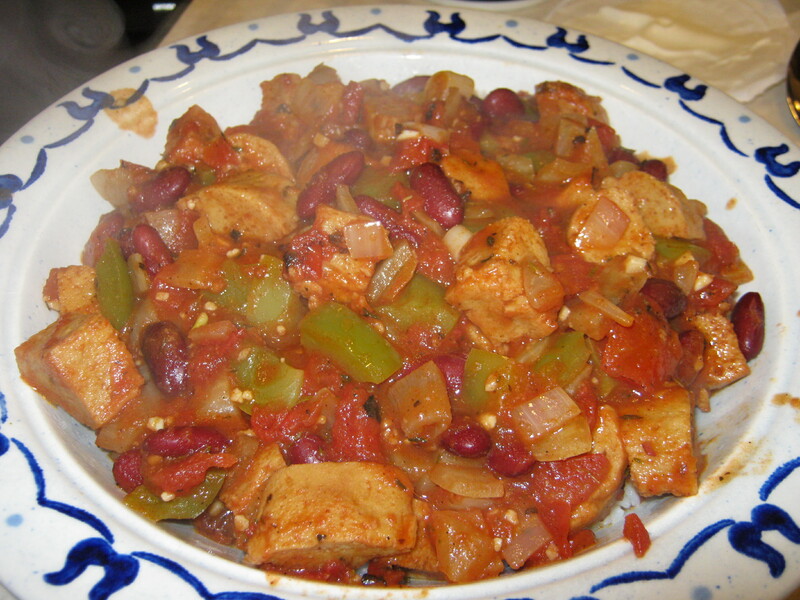 3) Add tomatoes, beans, Creole seasoning, hot sauce, salt, pepper and rice. Allow to simmer on medium-low for 10-15 minutes. 4) Spoon into bowls and top with sour cream and more hot sauce, if desired. * You could totally make this dish non-vegetarian by substituting shrimp or chicken or andouille sausage for the vegan sausages. And if you’re really short on time, use instant or leftover brown rice instead of making the long-grain variety from scratch. So there you have mi amigos. Something tasty to spice up an otherwise blah Monday night. Now if you’ll excuse me, I need get my booty in gear. I have a pilates session this evening and need to make sure I’m sufficiently stretched before I go. 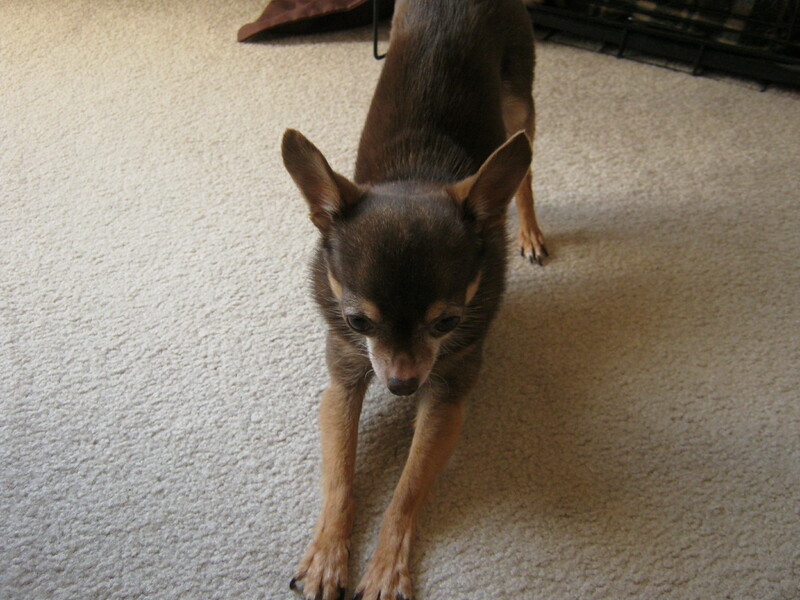 Mmm, gotta love some Downward Facing Dog. Being a medical student and all, I think I’m going to have to make an anatomically correct batch of cookies now…livers, spleens, lungs, hearts…the whole caboodle. And this jambalaya. Which sounds so healthy tasty delicious that it’ll keep my organs in the perfect shape in case I ever find myself inclined to donate one of them. De nada, Tia Annie! I hope you like enjoy the jambalaya. Let me know how it turns out. Happy Organ Donors/Valentines’ Day!